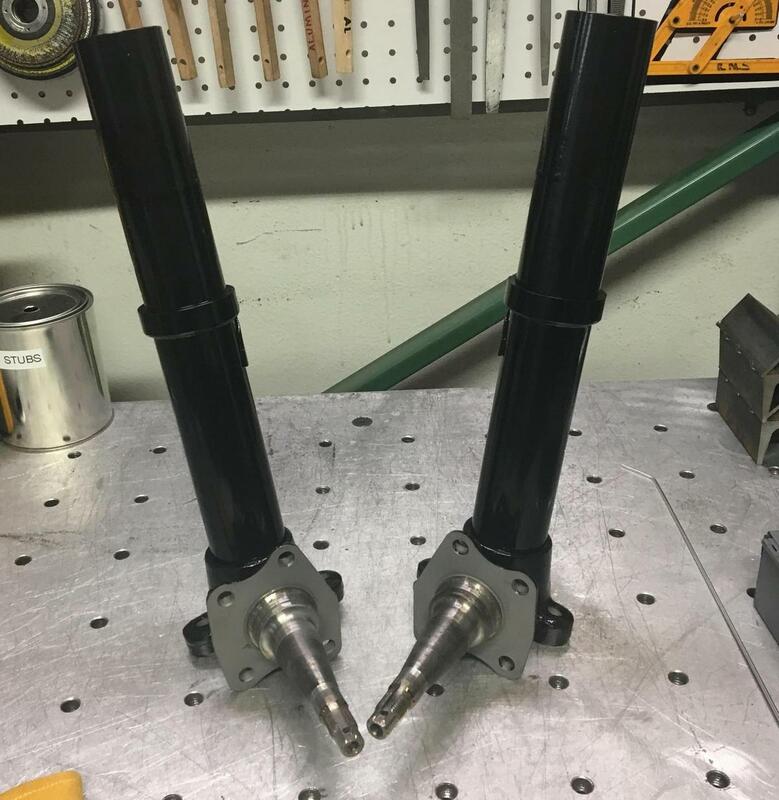 Custom short stroke set ups have long been the preferred setup for AE86 enthusiasts due to the fact that you have the choice to mix and match dampers and spring rates to get the set up that will work best for your application. 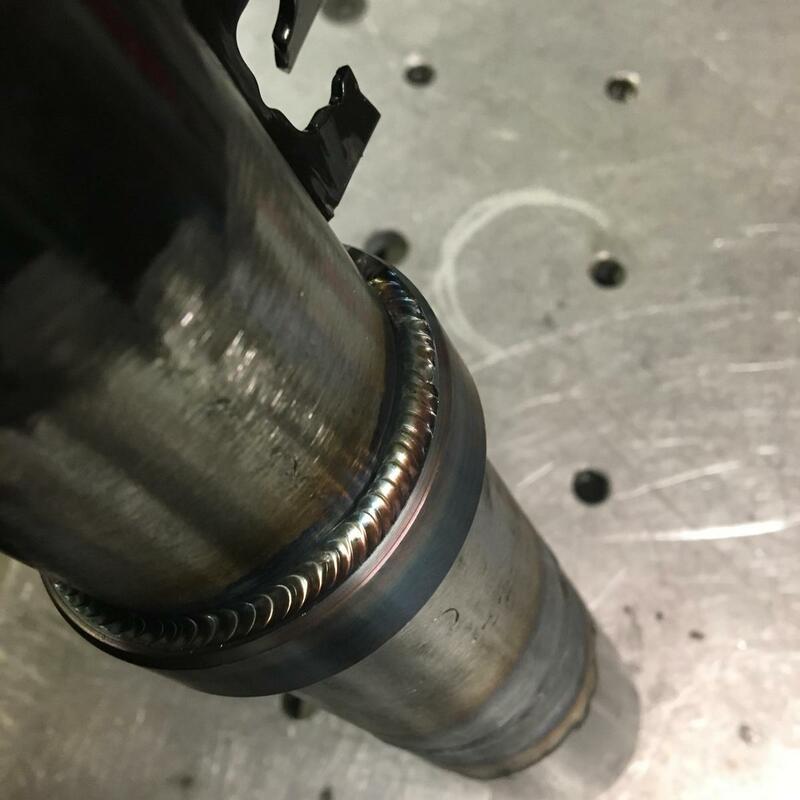 I am offering the service of modifying your OEM strut casings in order to run a short stroke/coilover setup. 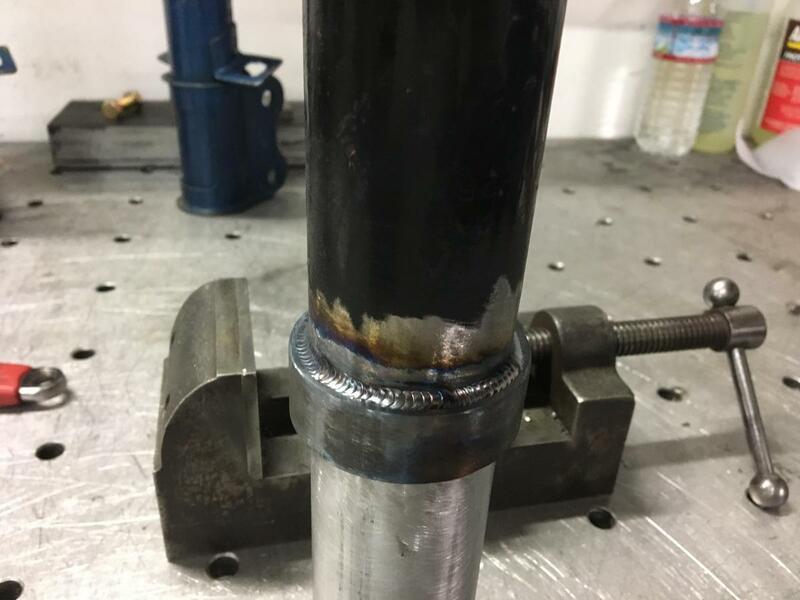 All welds are TIG welded by hand. Located in the Los Angeles area, shipping available at customers expense. •	$160 - Short stroke conversion - Strut casings shortened 40mm unless otherwise specified, stock spring perch cut off and new spring perch to support coil over welded on. •	$50 - Disassembly – Removal of stock spring, upper spring seat, damper and oil disposal. •	$50 - Cleaning and stripping – Removal of all the gunk/oils on the casings and stripping of the paint. •	$50 - Paint – Primer coat and 3 coats of high temp low gloss black. •	$80 –Assembly (pair) – Complete assembly of high hats, strut insert (aluminum spacer included) and coil over sleeve. You must supply parts for assembly. Last edited by seymour86 on Sat Aug 26, 2017 12:16 pm, edited 9 times in total. Just bought a new torch, Itching to burn some rod. 1st place at Toyotafest 2012 and 2nd place at JCCS 2012. Thanks Luis! you make it out to JCCS this year? At least from the photos attached, this guy's work looks fantastic. For those of you who think that the only thing available are the Chinese brands, this guy can get you started on a real nice coilover system. Plus, you can service/choose the shock yourself! Yet another option on great AE86 suspension. Do you have some ideas how I can check my hub/spindle for good health when I am finding a core to use? chohdog wrote: At least from the photos attached, this guy's work looks fantastic. For those of you who think that the only thing available are the Chinese brands, this guy can get you started on a real nice coilover system. Plus, you can service/choose the shock yourself! Yet another option on great AE86 suspension. Thank you sir. You've been in the game for a long while and you know your stuff from what I have read in your posts over the years,so those word mean a lot to me. I look where the top of the spindle base and tube meet for chipped paint or stretched metal. Usually the first thing to bend on the front suspension set up is the steering knuckles, So when I pull cores from the junk yards I look at those before I even touch them with a wrench. Make sure strut inserts fit in to the casing. If the tubing is bent the inserts or 1.75" tubing will have a little more friction going in or will not go in at all. Also make sure that the threads on the top that the gland nut screws into is good. Bump for a good seller. On time and professional. Thanks Kendall,It was nice meeting you and I look forward to seeing your car when it is all done. Sent you an email regarding service. sorry guys, been super crazy at my day job. Looks to be super crazy up too the 31st of Dec.